Northwest Dance Project seeks innovation in contemporary dance. The early 2000s weren't a great time for dance. The events of Sept. 11, and the beginning of the economic recession in the United States shifted where and how Americans spent their money, and artistic communities—including dance companies—were some of the first to feel the squeeze. Reaction from the dance world, founding artistic director of the Northwest Dance Project Sarah Slipper says, was an almost complete shutdown on creativity. Companies and choreographers were afraid to take a chance on work that wouldn't be instantly popular. What all companies needed more than ever in the financially tenuous time was commercial success. But what Slipper wanted was entirely different. "I wanted to create a platform for creativity," she says. "I wanted to create a place where choreographers could take risks and be comfortable not knowing if the work would gain popular success. I wanted a place for choreographers to come and push and a company of dancers willing to go along for the ride." So, in 2004, Slipper, a Canadian-born dancer and once leading dramatic ballerina for the Royal Winnipeg Ballet, founded the Northwest Dance Project in Portland, a company committed to the creation of innovative dance by emerging dance-makers. Since its founding, it has premiered more than 175 original works of contemporary dance, created by dozens of choreographers from around the world. "We like variety," Slipper says. "This company is a project of diversity and I don't want one voice." 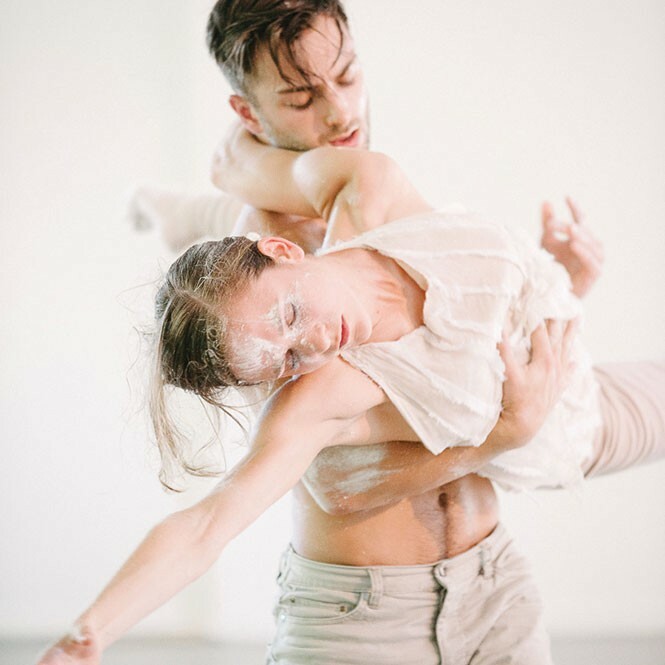 This week, in a one-night-only concert at the University of Utah's Marriot Center for Dance, Northwest Dance Project performs four original works in the company's repertoire: What We've Lost on the Way (2015) by German choreographer Felix Landerer; At Some Hour You Return (2014) by Czech choreographer Jiri Pokorny; State of Matter (2010) by NW Dance Project's current resident choreographer Ihsan Rustem; and Memory House (2011) by Slipper herself. "Northwest Dance Project is a window into modern innovations," says Eric Handman, associate professor and director of graduate studies at the University of Utah's Department of Modern Dance. His 2014 work Against Entropy was commissioned by Northwest Dance Project. "They are a company on the pulse of the contemporary dance scene." Though contemporary dance traces its origins back to both modern dance and ballet, it is beholden to neither form. Lacking a set definition, contemporary dance is exactly what the Northwest Dance Project and Slipper are in search of. "My company members still train in ballet every day," Slipper says. "We need the shape and the line of ballet, even if some choreographers don't care about a pointed foot. Our European choreographers tend to like strong technique, and slide toward ballet. But our Israeli choreographers often slide toward modern." Then there are choreographers like Pokorny, who Slipper calls an up-and-coming star. At Some Hour You Return draws on isolation techniques used in breakdancing, turning each dancer's body into a ripple of water, or puppets on the end of an invisible string. It's small, twitchy movement Slipper calls "a unique use of speed and coordination that's very charming." Credit for such innovation, however, cannot go entirely to the choreographers. As Slipper points out, none of this would be possible without an exceptional cast of dancers—nine in all, most of whom have been with the company for five years or more. Each dance commissioned by the project is created with the company dancers, a set of artists trained in the art of collaboration and creation. The choreographers work intimately with the artists, and ultimately the dancers themselves contribute, engaging in the creative process by providing inspiration, style and sometimes even movement that expands the language of the choreography. For Handman, the process of drawing upon the dancers for inspiration always produces greater results. "My own movement is so familiar to me," he says. "I work collaboratively so that I see something new. I relinquish control to be surprised." But, he adds, it's not an easy process. "You still have a lot of dancers who just want to be told what to do." Not everything that comes out of such collaborations, Slipper adds, is mind-blowing or successful, even for the Northwest Dance Project. When you risk everything, sometimes you fail. But, for artistic director Slipper and her company, failure is not exactly something to avoid. "The key component of Northwest Dance Project to this day," Slipper explains, "and the thing that makes us stand out from any other dance company in the country, is that we have dancers that are fearless and take risks, and choreographers who are trying to push limits and boundaries."